Should hopefully still be available come Monday morning, otherwise home end it is. Don’t think I’ll get one sadly. A wait till 31st for me which I doubt they will still be on sale at what I never understand is why it’s 2 per person, why not just give the fan with the points the option to purchase 1 ticket as they are called "loyalty" points, as previously said on threads like this nothing stops people buying tickets for pals who just want a day out/don’t meet criteria. How many points do you get for an away purchase? 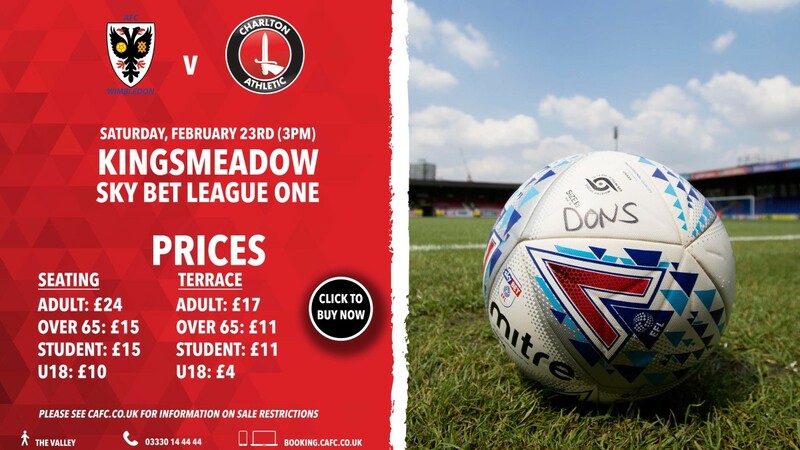 a simple change would be an additional u18s ticket, but the 2 per person i think is unfair - even if i do end up benefiting from it, only thing is this game being feb could always get called off due to bad weather. Good luck for those trying to go....those that have never been and want to go, if youre under 6'6' you have no chance of seeing the game. Place is a shithole. Will there be many fans with 300 points already ? At the moment the maximum points anybody could have is 425 points. Sorry I was wrong, the Posh game isn't included. Like winning the lottery I'm on 300. Think I’ve got 280 loyalty points (ST + 5 aways not including Peterborough) + Valley Gold so Friday for me. That being said I hate that ground so much I’m very tempted to give it a miss. What if i have a jamboree bag and a cracker jack pencil. 230 points,no points for Valley Gold.